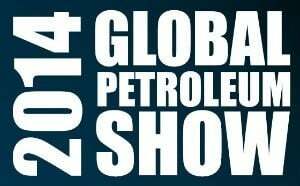 Global Petroleum Show (GPS), one of the world's most significant oil and gas exhibitions, and the largest show to date, has officially kicked off in Calgary. The event will host a record number of registered attendees, exhibitors and international delegates at Stampede Park and other downtown locations June 10 through 12, 2014. GPS has experienced tremendous growth since its inception in 1968, and is now set to welcome a record number of attendees to the city. Previously a biennial event, 2014 marks GPS's first year as an annual event. Featuring over 2,000 exhibiting companies, including 400 new exhibitors, the show is expected to draw $8.9 billion in business transactions to the province, and host nearly 65,000 attendees. The three-day event brings together energy professionals, international delegates and exhibitors from across the world. Countries represented at the exhibition will include Mexico, United States, China, the United Kingdom, India, Russia and more. "As one of the largest energy exhibitions in the world, we are very excited to be welcoming so many international attendees and exhibitors to Calgary," said Wes Scott, Executive Vice President of dmg :: events, organizers of Global Petroleum Show. "In addition to providing a remarkable networking and business opportunity to our exhibitors and attendees, GPS showcases Calgary as an energy leader, and the innovation taking place within the energy industry today. It is the perfect city to host an energy event of this magnitude." The first of many networking events commence on June 10 at 6:30 p.m. with the Opening Night Reception. Taking place at the Hyatt Regency Calgary, Premier Dave Hancock will deliver welcome remarks to kick-off this evening of entertainment and networking. On Wednesday, June 11 eminent leaders, innovators and policy makers will gather at Hyatt Regency Calgary for the Energy Leaders Breakfast to explore the shifting trends and dynamics of the global market. The program will open with remarks at 7:40 am from the Honourable Cal Dallas, Minister of International and Intergovernmental Relations, and will include other dignitaries from India, Indonesia, and Canada. A pre-purchased ticket is required to enter this sold out event. On Wednesday and Thursday, International Energy Capital Forum will bring together the investment community at Hyatt Regency Calgary with small-to-medium oil and gas companies looking to expand their business through capital investment and emerging markets. The two-day conference will feature panel discussions and keynotes from Bloomberg, Halliburton, and more.